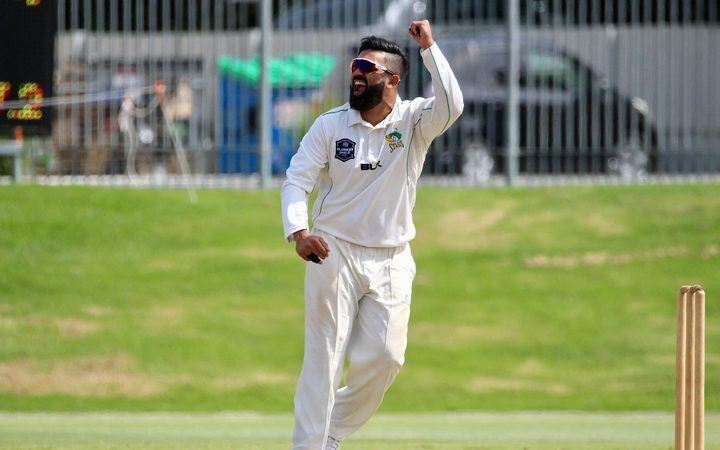 Indian-born spinner Ajaz Patel was named Wednesday in the New Zealand Test squad to play Pakistan in a three-match series in the United Arab Emirates in October. Patel, 29, has been the leading wicket taker in New Zealand’s domestic Plunket Shield for the past three years and was named domestic player of the year in 2017. The finger spinner, who was born in Mumbai and moved to New Zealand as a child, took 48 wickets at an average of 21.52 in his most recent season with Central Stags. Chief selector Gavin Larsen said Patel would replace the injured Mitchell Santner in the 15-man squad to face Pakistan. “Ajaz has deserved his inclusion on the sheer weight of his domestic first-class form over the past couple of summers,” he said. The selectors also included Tom Blundell in the squad as wicketkeeping back-up to BJ Watling.